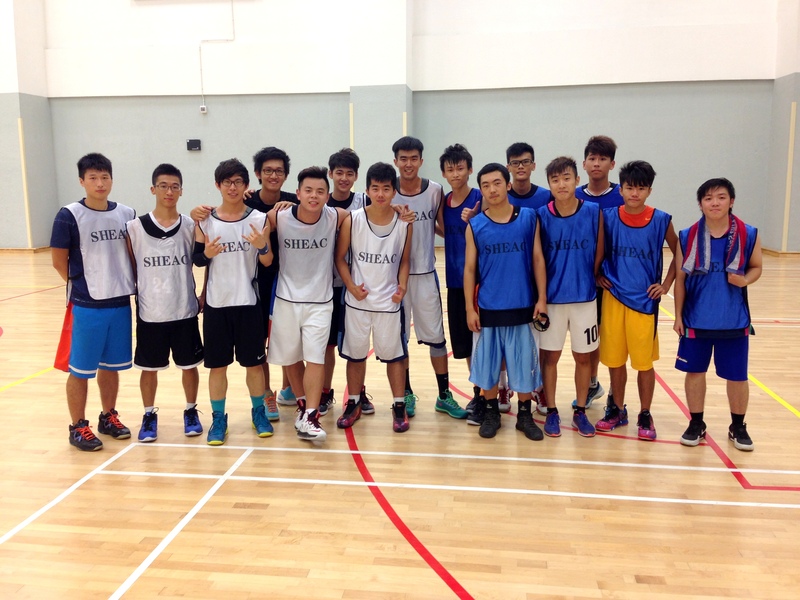 Stanley Ho East Asia College’s Sports and Health Working Group organized a basketball game between upperclassmen and freshmen on Saturday 20th September. Freshmen Team shooting moment at the charity strip. In the game, both upperclassmen and freshmen competed with their best effect. 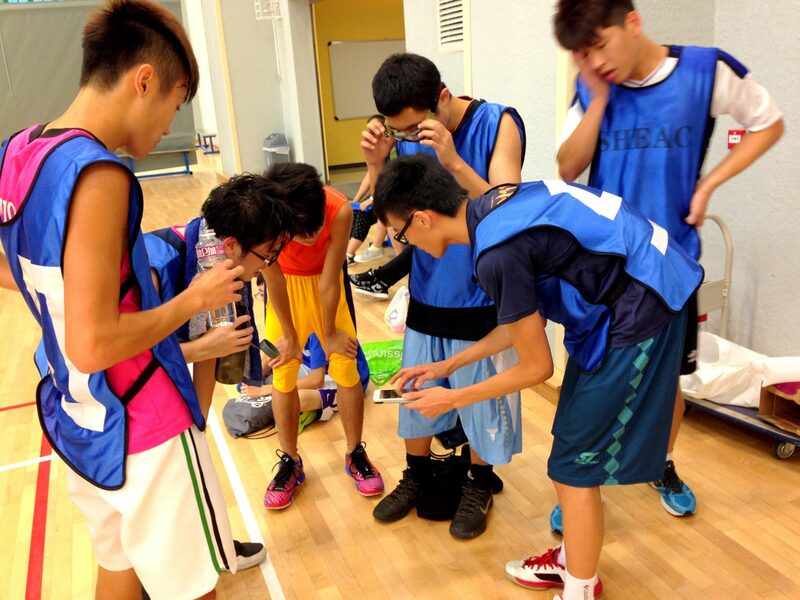 They tirelessly ran all over the pitch: crossover, layup, rebound, shoot, and score. Every single moment was a great thrill for the audience. 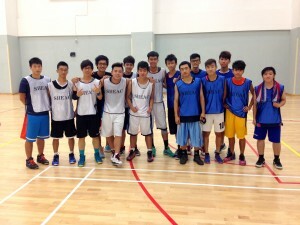 The energetic players, in high spirit, won waves of applause. Through the upperclassmen had been leading, until the last ten minutes, the freshmen team’s paid off. 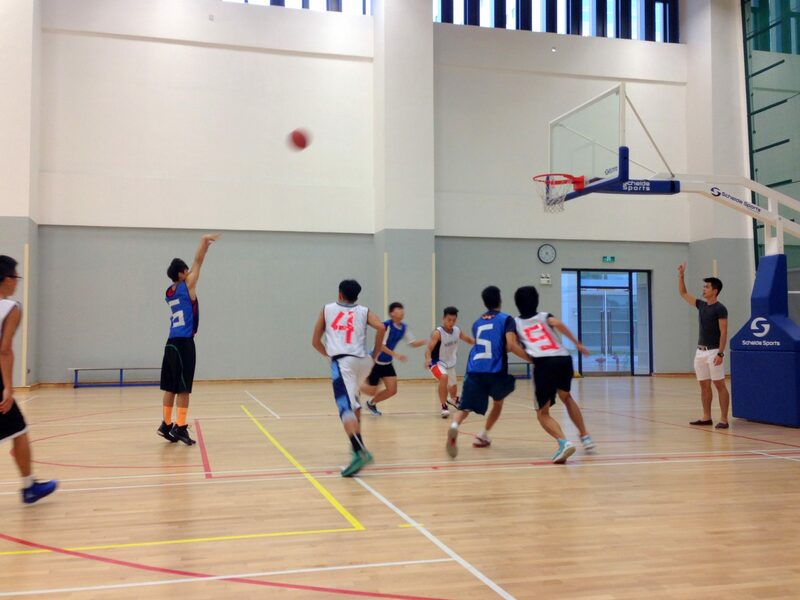 The freshmen team finally claimed tight and exciting victory by the final score of 68-65. 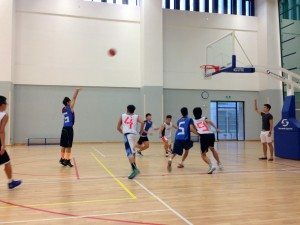 Although there are winners and losers as far as a game goes, the result of the basketball match did not dampen the students’ mood. Everyone enjoyed the game, and took many photos together after the game. It does not matter who won and who lost. The participants enforced their friendship and boosted the spirit of teamwork. They were indeed working up some sweat to write a chapter of their own youth!